Seventy-Seven year old neighbor, was at the Ramsey 12-23-1996 Xmas Party. Glenn Meyer rented basement room at Barnhill's house Hid JonBenet�s silver Christmas bicycle in his basement until Christmas eve 9:00 P.M.
Joe Barnhill, who lives across the street, said he stowed the Christmas bicycle John Ramsey bought for Jon Bonet until Christmas Eve. Barnhill was outside the house Thursday afternoon walking Jon Bonet's dog - a pet he said she received as a birthday present about two years ago. He described the Ramseys - John, Patricia, Jon Bonet and her older brother, Burke - as a happy family. "They are such congenial people - the best neighbors," said Barnhill. Barnhill said Jon Bonet's mother, called Patsy - a former Miss West Virginia - raised a well-mannered, polite daughter. "She has been working so hard to groom her and raise her for the society we live in," said Barnhill. Neighbors said the Ramseys entertained often - they had three separate Christmas parties in December. People were often seen coming and going from their house. Many people may have had keys to the house, including caterers, a house cleaner, gardeners and landscapers, said Joe Barnhill, who lives across the street and takes care of JonBenet's dog, Jacque. Barnhill, like other neighbors, didn't remember seeing anything suspicious at the Ramsey house Christmas Day - the day before JonBenet was murdered. "I didn't see a lot of people over there Christmas Day," said Barnhill, who had hidden until Christmas Eve the bicycle JonBenet's father had bought his daughter. "I didn't see JonBenet with her bike, but I did see (her 10-year-old brother) Burke ride his bike down the lawn there." Barnhill also said he saw John Ramsey's son from a previous marriage, a student at CU, come to the house. "Meanwhile, neighbors said a close family friend and John Ramsey, the girl's father, discovered the body of the aspiring beauty queen Thursday afternoon in the home's basement." "They found her in a hidden area down there, so whoever killed her had to be somebody that knew the house," said Joe Barnhill, who lives across the street from the Ramseys and cares for JonBenet's dog." "I'm sure people are more frightened now, and I feel more vulnerable," Barnhill said. "We feel that this has been a very secure and quiet neighborhood, and that's why it's such a shock." "After giving numerous interviews to the media, neighbor Barnhill yesterday declined to speak with reporters, saying the Boulder police had asked him to stop giving interviews. Barnhill said the family had made the request through the police department. Barnhill has been contacted by reporters from Los Angeles, New York and the British Broadcasting Corp.
About that time, Dennis Covington, a Redbook correspondent from Birmingham, Ala., showed up on the scene. Other neighbors said they hadn't been told not to give interviews but declined to do so." TT: How often do you talk to the Barnhills or have you talked to the Barnhills in the past? PR: Uh, I kind of keep, you know their elderly . . .
PR: . . .and I would kind of, you know every two or three days probably . . .
PR: Uh huh. They, they kept our dog a lot . . .
PR: . . .when we went out of town or whatever. Joe was, last year about this time, around Easter time, he was quite ill with some respiratory stuff and I was taking groceries and dinners and . . .
TT: Kind of taking care them. PR: Yeah. Kind of keeping my eye on him..
TT: Okay. Who all did you let know that you were going over to the Whites? Did you let the Barnhills know or anybody like that? PR: Uh, I don�t remember. I think I, seems like I did call Betty that day to see if they had anybody over there with them or, you know, if they were okay or. . .
PR: . . .and I may have told her that we were going. I don�t remember exactly. TT: Check to see if anybody had come over to visit the Barnhills. PR: Yeah. I just wanted to make sure they had something to eat and all that cause. . .
TT Okay. About what part, what part of the day did you call Betty to make sure she�s okay? PR: Um, sometime that afternoon. 23 his name is, from California, was there. 1 think that's Glen Stine, Susan and Glen Stine. 13 basement. But he was there for a while. 14 LOU SMIT: What do you know about him? 18 guest from out of town. 19 LOU SMIT: Do you know his name? 20 JOHN RAMSEY: Oh, I did. After the facts. 23 LOU SMIT: Glen Meyer? 16 them to go over there or Jacques would come over. 23 deal with a dog 24 hours a day. 25 at the Barnhills than he did at our house. 3 think or has that ever been discussed? 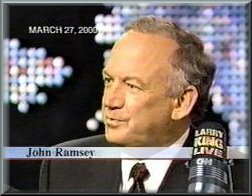 4 JOHN RAMSEY: It's never been discussed. 7 apartment in the basement. 8 to pick up a bike? 11 were giving Burke a bike but not that year. 19 in his garage or his basement. 2 the patio. I'm sure that went back in the garage. 4 the garage. I don't remember. 7 JOHN RAMSEY: Yeah. We have it. 8 LOU SMIT: (INAUDIBLE) took it? 10 we gave away. Patsy's bike we haven't (INAUDIBLE). PETER BOYLES: "Jacque the dog, again, JonBenet's dog, but the dog was given to the people across the street. A lot of people have talked about where was the dog that night. The dog had been given to the neighbors because the neighbors quote, liked the dog and so the dog lived there. What can you tell us about the dog?" LINDA WILCOX: "Well, first of all, Patsy didn't want a dog. And, she didn't want JonBenet to have a dog. This particular dog didn't get the potty training thing down very well, he tended to leave puddles. He was pretty much relegated to the wood floor at the bottom of the spiral staircase and out the side door off the patio. However, they had, John told Patsy to get JonBenet a dog. It was John's decision to get a dog and Patsy chose a Bichon. She got it from a pet store, and I came there one day, his name was Jacques, a little guy, cute little furball. Well, one day the dog went to the vet and came back. But the dog that went to the vet was smaller than the dog that left. I had said something to Patsy, the next week I walked in and I asked Patsy what happened to Jacques. She's like, "What?" And I said, this isn't Jacques. And she's like, SHHHH, don't tell anyone, no one else knows. Turns out the first dog had something wrong like some kind of liver disease or something and it was dying. It was a bad dog, so she called the pet store and made a switch before anyone knew. One more thing...I think the first summer, the summer of '94, they took the dog with them to Michigan. See Patsy took care of the dog, John took no responsibility for it whatsoever. He tolerated it at best. And, if it got anything of his, heaven forbid. I don't know this, but I think they got rid of the dog because when they were in Michigan, they were busy with pageants. They were doing other things and there was no one to look after the dog. I think they gave it to the neighbors when they left for the summer because they didn't want to hassle with the dog. Life was good for them until it was inconvenient." 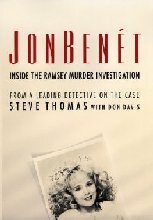 1999-02-18: "Perfect Murder, Perfect Town, JonBenet and the City of Boulder"
"After the children were in bed that night, John Ramsey went across the street to their neighbors the Barnhills', to pick up a bike he had been hiding in their basement. When he got home, he placed it under the Christmas tree in the living room. On Christmas morning, JonBenet and Burke gave gifts to their parents and each other, and in the early afternoon, JonBenet rode her new bicycle around the patio before the family went to the Whites' house for dinner." "Meanwhile, in Boulder, Detectives Steve Thomas and Ron Gosage interviewed the Ramseys' neighbors Joe Barnhill, seventy-seven, and his wife, Betty, who lived across the street. The Barnhills had a key to the Ramseys' home, since they were taking care of JonBenet's dog, Jacques, a Bichon Frise. The detectives learned that the Barnhills had a boarder, Glenn Meyer, who lived in their basement. Joe and Betty Barnhill had been guests at the Ramseys' Christmas party on December 23 and had chatted with Patsy's father, Don Paugh, a retired engineer. Paugh had worked as his son-in-Iaw's first director of human resources at Access Graphics and still worked most of the time for John in Boulder, while Nedra, his wife, ran John's Atlanta" office. Paugh told the Barnhills he had a new position at Access-manager of inventory tracking. The firm's market niche was "the Lincoln and Cadillac part of the industry," he said proudly. Barnhill confirmed to police that at about 9:00 P.M. on December 24, John Ramsey had come to their house to " pick up JonBenet's bicycle, a Christmas gift. The Barnhills said they were home the night JonBenet was killed. The police asked Joe for a handwriting sample, but his palsy made it impossible for him to give one. A week later he signed a waiver and his doctor confirmed Barnhill's illness to the police. 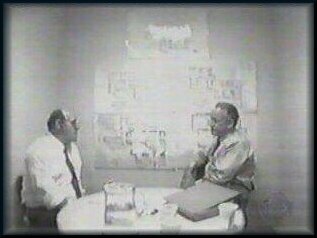 The detectives then interviewed the boarder, Glenn Meyer. He said that he had been at home on Christmas night and had watched television in the den with the Barnhills until 9:00 P.M. He then went downstairs to his basement room and spent the rest of the evening nursing a stomach flu. Meyer was also at the Ramseys' Christmas party, but he said he hadn't been introduced to Patsy or JonBenet. few weeks later, Detective Thomas asked Meyer for several handwriting samples and took his fingerprints." "On December 26 John Ramsey had told the police there weren't any keys "hidden under rocks" in the yard and that only John Andrew, Nedra, and Linda had extra keys. But three weeks later, on January 21, Patsy's attorney told the police that the Whites, the Fernies, and Joe Barnhill also had keys. In April 1997, Ellis Armistead, an investigator hired by the Ramseys, would tell the police that there were twenty more extra keys outstanding. In the end, however, the detectives could find only nine people who said they had keys. Six of the keys were returned. Three were missing." "Last night had been no different. We had made several trips to the basement, where Patsy kept the wrapped gifts stashed away. Then she had arranged them under the fat Fraser fir, which reached to the ceiling of our living room. Joe Barnhill, our neighbor, had met me in front of our house with the new bicycle for JonBenet., which he had been hiding in his basement for us. JonBenet had outgrown her training bike. A bigger bicycle had been on her wish list, and we could now look forward to some family bike trips together." "On December 23 thirty-one people arrived for the party; the Whites, the Barnhills, the Fernies, the Stines, and the Barbers, and all their children, plus their assorted house guests. Later that evening, Glenn Meyer, a single man who rented a room in Joe and Betty Barnhills basement, showed up looking for them. I invited him in because the Barnhills were good neighbors - our family dog, Jacques, lived part-time at their house." "And after the Barnhills' dogs died, they really grew attached to Jacques. He probably spent as much time at their house as he did at ours. They had agreed to baby-sit him while we were in Charlevoix that Christmas. Now Glenn Meyer was at our house, looking for the Barnhills." KING: Did you ever give the police a list of people in the neighborhood you thought were suspects? P. RAMSEY: They asked us for a list of everyone that had been in our home for the past five years. "Joe and Betty Barnhill, the elderly neighbors so trusted by the Ramseys that JonBenet�s silver Christmas bicycle had been hidden with them, would also eventually be pointed at as possible murder suspects by the Ramseys. From the moment I saw them, I knew it was ridiculous that they should be considered and that we should be spending time investigating them. will solve it." That sort of cooperation was rare, and we certainly weren�t getting it from the Ramseys. We soon cleared the Barnhills. The Barnhills rented out a basement room to Glenn Meyer, who would be pointed out by Ramsey investigators as a possible suspect because he carried a heavy load of debt. Meyer was an even more unlikely suspect than the Barnhills, since his own son had been murdered in Boston. He could not have been more cooperative with us. After an interview, giving writing and hair samples, and passing a polygraph, he was also cleared. Meyer and the Barnhills also alibied each other, having watched television together on Christmas night and all going to bed early, Meyer with a case of the flu. Another reason to interview the Barnhills, however, was that Joe had told the police he had seen JonBenet�s older half-brother, John Andrew, in Boulder on the evening of December 25. John Andrew claimed to have been in Atlanta at the time. During the interview Barnhill sheepishly told us he had made a mistake and apologized, saying that he probably would not even recognize the young man in a crowd. That went a long way toward firming up John Andrew�s alibi. The Barnhills also had a key to the Ramsey home, something we had not known. The Ramseys initially said that the only outsiders with keys were two relatives and the housekeeper. Since then we had turned up one with the former nanny Suzanne Savage and now another with the Barnhills. We didn't know how many keys existed, and the number would continue to grow. Jacques, the white bichon frise dog that belonged to JonBenet and was temporarily in the care of the Barnhills, jumped into my lap while we all watched the five o'clock news about the funeral in Atlanta." Five years have not changed some things for former Ramsey neighbor Joe Barnhill. JonBenet's dog, a white bichon frise named Jacques, still lives with Barnhill and his wife, Beth. The dog often stayed with the couple when the Ramsey family vacationed before the girl's death. But he became a permanent guest afterward. "I think he's mine," said Barnhill, 81. "Her frequent visits across the street to Joe Barnhill and his wife--taking them dinner because she was afraid they would have none" This was a quote by Rainsong on Crimenews." I just wanted to set the record straight about Patsy, John and the Barnhills. From the day of JonBenet's murder neither John nor Patsy contacted the Barnhills. Even though Jacques was supposedly JonBenet's dog. Joe Barnhill and I have spoken on numerous occasions and he very sadly said he has never been contacted by the family and doesn't know why. The only one that contacted him was one of their investigators telling him to "be quiet- and never talk about what he saw the morning of the murder"...He said "they told me I was mistaken"....I found that to be very odd. Never once was he contacted when his wife was deathly ill and ultimately died very near the time that Nedra died. Ashley from jameson's forum asked a question about Joe Barnhill's son who lived in Colorado. She said something about his DNA not being ruled out. That's just not true. She also mentioned that he didn't visit his father on Chrismas and thought that was strange. It's not strange they are "estranged" and have been for a long time. Barnhill was remarried and was closer to his step-children than he is with his own kids, he has a daughter that he hasn't spoken to in years. He says it's their doing not his. What I find disturbing about this post is that jameson never bothered to answer her. She should or would have known all this with as much as she has researched about the case. Barnhill was one of the first ones I checked into and later became friends with him. Since his wife died (2nd) near Nedra's death, he and I have spoken quite often and he went into some detail about his thoughts about the events surrounding that fateful Christmas day.